Protestants can celebrate All Saints Day--we just do so in the Pauline definition of "saints" and use the day to celebrate all the ordinary believers who have impacted our lives. I blogged on this today. Congrats on such a great b'day gift. I liked that one very much--though The Crucified God remains my favorite Moltmann text and The Way of Jesus Christ a close second. Oh that looks purdy. Mine is all dog eared and abused. Well loved is the way I should put it. You are going to enjoy! BTW as a Vineyardite I've actually held All-Saints services! We would gather to share our favourite hagiographical stories - including some from 'protestant' traditions like Smith Wigglesworth and Sadhu Sundar Singh! Actually since Vat II there is more of an acknowledgement (explicitely at least) of communion of the saints as referring to the whole Church (Luther's preference). 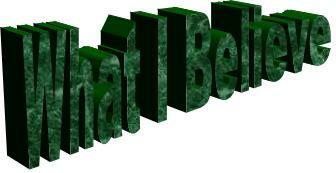 It is just that certain lives are commended to us as examples and fellow journeymates in our walk with the Lord. So feel free to celebrate with out feeling obligated to kiss that papal ring. "Protestants can celebrate All Saints Day"
- so, I'll put my big hat away, then. Smith Wigglesworth! There is a name from the past! I've got lots of the Wiggy merchandise! Still, hagiography aside, that was a man that has had more success than me in praying for the sick! I do agree that the way of jesus christ is a great text. Moltmann's summary of the crises and contradictions of our time (the crisis of poverty, ecology and nuclear threat) is representative of him at his explosive best. Dont have the book in front of me - so cant cite him; but if you have read the book you will recall the section i am referring to. 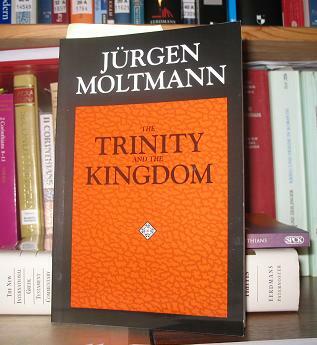 Trinity and Kingdom is also a book definitive for Moltmann's theology. Enjoy the read. P.S. bit surprised you arent reading it in German? I have been instructed by my client Simon Hardwick to inform the readers of Chrisendom that the individual named as "Si" is not the same individual as the fore mentioned person. My client takes great offence that some may consider "Si" to be the same person as my client "Simon Hardwick". My client is also concerned that terms such as "juvenile", "abusing" and "immature" are used in conjunction with his name. My client wishes to make it clear that Christopher Tilling has well documented so-called "episodes" which causes sudden personality change and occasional urination in his underpants. The identity of “Si” is clearly an alternate personality used by Mr Christopher Tilling in order to wind up my client and cause distress. 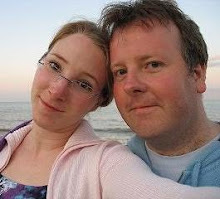 Whilst generally only embarrassing for Mr Christopher Tilling (and those sitting in his near vicinity), sometimes others (by this meaning my client Mr Simon Hardwick) get implicated he the already stated misdemeanours. The local relevant health authorities and law enforcement agencies have been informed of recent events and further action is being sought. I have the German version of a number of his works, but, to be honest, I still find it easier to read English. It's more relaxing for me. Did you know that your client wears Left Behind series underpants? No, I didn't think so. I would use your considerable resources (a serious and surprise Melvin would do) to ascertain the truth of this claim, then come and join me in my fight against his infantile behaviour. Just yesterday, so I have it from good sources, he typed in 'Funniest way to end the life of Steven Harris Theological and Biblical Studies'. Before long, Steven will be so messed up and nervous he'll be convinced 'the pigeons are watching him', and all cos your Left Behind jock strapped client can’t control his fingers at a keyboard. I'd lock him up, or at least buy him some new underpants. Hi Chris, I never done nuffin, what do'ya mean? Glad the book arrived safe and sound. It sounds like you plan on enjoying it in more ways than I thought possible, but I say more power to ya. Moltmann's attempt to connect the messianic life of Jesus with faith in Incarnation, Passion, Resurrection, cosmic Christology, etc. is fantastic and controls the rest of the book--from the Jewish Christian dialogue, to the Spirit Christology, to the discussion of modern martyrdoms, etc. Just as The Trinity and the Kingdom opens up the Trinity from a doctrine exclusively about the inner life of God to revelation that connects Who God Is to God's Kingdom work in the world, so the Way of Jesus Christ reconnects the historical Jesus to the cosmic Christ and both to the church's proclamation and mission. I really don't know why you are picking on Steven? He's a really great guy. At least that is what I assumed before doing a little Yahooing about him myself!